JNTUH 4-2 Advanced Supply Notification: JNTUH B.Tech/B.Pharmacy 4-2 Sem Advanced Supply Exams Notification June 2018 are going to held from 19th May for R13, R09, r07 regulations. 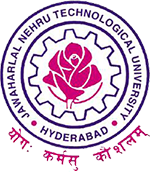 Sub: JNTUH, Hyderabad – Examination Branch – IV B.Tech/B.Pharmacy II Semester Advanced Supplementary exams June – 2018 Instructions to the Principals–Reg. B.TECH – IV YEAR -II SEMESTER SUPPLEMENTARY EXAMINATIONS (R09/R07 ) REGULATIONS. Note : For the students applied for RC/RV, if the results are not declared by the time of start of registrations for exams., the students are advised to register as per the time schedule given in this notification even for the subjects in which they have failed and waiting for RC/RV results. However, if the student passes the examination in RC/RV results, the examination fee paid for passed subjects will be refunded by the concerned Principals and the registrations of that student in that subject will be automatically deleted. Can we expect advance supply for 2nd year this year. sir i have an project plz tell me an information about were should i execute my project in my college are in jntu university. I have a doubt that regarding M1. Im failed in m1 and i want skip this m1 subject. So, whethere it is possile or not? M1 includes in exemption or not..? Yes u can, m1 consists of 6 credits. If you have only m1 as backlog u can leave it as exceptional subject.